If you are looking for information on the Kiddie Academy franchise business opportunity, Kiddie Academy franchises or Kiddie Academy franchising, then you have come to the right place. Now there's a place for leaders who like to play follow the leader. 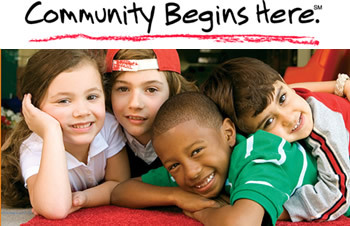 Bring the Kiddie Academy® community to your neighborhood. Welcome to Kiddie Academy® - a franchise community where fun and learning experiences are shared every day. Inspire children to explore, create, and interact, while giving them a strong foundation for the future. Over 25 years of child care experience. Kiddie Academy's commitment to early child care education has brought new families, experienced educators, and passionate leaders like you together for more than 25 years. And that commitment starts with educating the whole child - mentally, physically, and socially. Our innovative, developmentally appropriate curriculum allows you and your staff to give each child exactly what she needs as she grows. At the same time, you'll receive the unique support and services you need as your Kiddie Academy® franchise grows! The Kiddie Academy® franchise program. EXPERT SUPPORT. Kiddie Academy® is a true franchise community of passionate entrepreneurs and leaders - and our community is there to support you. We keep our systems up-to-date and relevant to your needs and the needs of the families in your community. You'll also enjoy hands-on support from our expert franchise support staff, and added assistance for easy multiple unit development. SITE SELECTION. One of the most important decisions faced by any business is where to establish franchise locations. Our experienced real estate team will give you the edge, employing their precise methodology for grading potential sites. You will receive assistance at every step of the process - from comparing available sites to negotiating the terms of your lease or purchase contract - so that your individual goals and needs are met. FINANCING OPTIONS. We have identified third party lenders to provide financial assistance and guidance. We'll provide the tools you'll need to develop a custom business plan and loan structure that suits your needs and the needs of your business. ACADEMY DESIGN. Kiddie Academy's signature building is designed to give families the "Kiddie Academy® brand experience," while allowing you plenty of room for your personal touches. We will help you design and construct your academy to meet our standards and fit your interests, your local codes, and your marketplace. TRAINING. Kiddie Academy® offers you a blend of classroom and on-site training and staffing support that exceeds other franchise "training" programs. Your initial personal training will provide you and your management staff with detailed policies and procedures which have been tested by Kiddie Academy® owners throughout the nation. We will guide you through every aspect of operating your academy, including applicable government regulations. MANUALS. You'll also receive the multi-volume Kiddie Academy® manual set, which puts everything you need to know about owning and operating your business - from curriculum and marketing to business management and administration - right at your fingertips. In addition, Kiddie Academy® offers KARES - our convenient intranet service - complete with helpful manuals and important forms, which are available 24 hours a day, 7-days-a-week. MARKETING AND ADVERTISING. Kiddie Academy® is a compelling national brand. With the support of our marketing department, we'll help you make sure that Kiddie Academy's brand remains strong in your community. We'll help you develop a pre-opening campaign for your academy - including a Grand Opening celebration event - then assist you in developing ongoing, multi-tiered campaigns to help you build and maintain enrollment. Powerful brand recognition, over 25 years of experience in the child care industry, and a team of experts trained to support every aspect of your business - these are just some of the benefits you can expect if you join the Kiddie Academy® community. Find out if Kiddie Academy® is the perfect fit for you.